As an avid looker at lovely things of every description, you can imagine my excitement when I came across this sign, promising riches beyond imagining. I was, of course, hoping for something truly breathtaking, like a city of dazzling bejewelled exotic domes and turrets glittering in the desert sun, or my own face hewn from solid rock in a rugged depiction occupying the whole side of a mountain. What I actually got, 450 metres later, was some countryside with some trees and that. To say I was disappointed would barely hint at the extent to which this grand promise went unfulfilled. But I’m determined nobody else should suffer the same fate, so I am having the field boundaries adjusted across the whole of the parish so that, in future, others gazing upon the allegedly fine view see my face depicted therein, and they will know that they really have seen the finest view England has to offer. I like how almost a week has gone past and nobody has acknowledged this post. I don’t like it at all. My chagrin is on a twice-daily moisturising regime to cope with the level of chafing. Well that’s all I had to say on the matter. I’m not sure what else you want from me. Nothing. I think we’re done here. Was the whole thing in inverted commas? No. There is one set of inverted commas at the start surrounding no words at all. 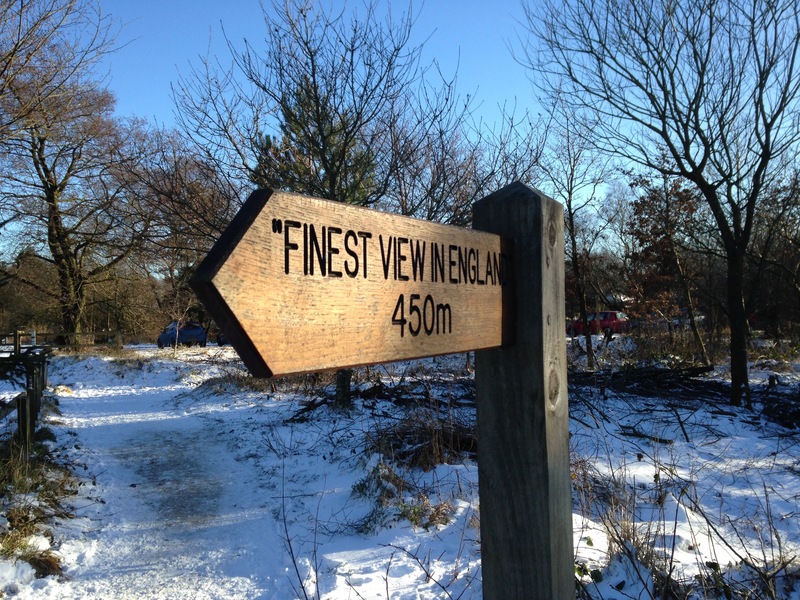 The sign is clearly quoting something that cannot be written before it mentions the whole finest view thing. So the original quote was so big that the person making the sign ran out of room? That’s just poor craftsmanship. I’m not responsible for that. I’ve sunk a lot of money into field boundaries. I haven’t got the spare monwahs to waste on re-carving signs. Oh, well, prosecco, yes. That’s cheap though. I use that for flushing the toilet and swilling out the drains. But this glass of champagne I’m holding will have to last another couple of hours because I can’t afford as many bottles of the ’64 as I used to. Only you could use sparkling wine as a aid to cleaning the bathroom. You and maybe Gary Wilmot. When my proposals are submitted to the BBC he will be the new head of the department that you work for, making him your boss. You will know his name then, sunshine. I’ll know his name? Whose name?